The Selectmen of the Town of Alford sends a letter of appreciation to JHM - J.H. Maxymillian, Inc. 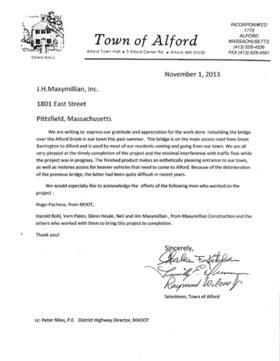 The Selectmen of the Town of Alford sends a letter of appreciation to JHM for their work on a bridge reconstruction.